Manual processes, spreadsheets and basic password enforcement are no longer enough. Privileged access management (PAM), also called privileged account management or privileged identity management, focuses on managing privileged users and accounts. This can come in many different forms from admin, domain, network, cloud, emergency, service to application accounts. Privileged users have a higher level of access to critical systems within an organization. Privileged users can change system configurations, access secure data, change accounts, install software and much more. Privileged accounts are often used by machines, IT systems or cloud software for intercommunication. The accounts are usually set up once and passwords are rarely changed. Most companies have hundreds, if not thousands, of privileged credentials making them hard to manage and secure. A typical organization has more privileged account logins and passwords then individual or employee logins. Privileged management strategies that rely on manual processes, spreadsheets and basic password enforcement are no longer enough. In fact, Gartner lists privileged access management software as a top security project. PAM software helps by providing end-to-end control for your privileged passwords, secrets, certificates and documents. PAM systems do this by putting privileged credentials inside a secure vault or repository. System admins and other privileged users must go through the PAM solution and be authenticated in order to access their credentials. The PAM software logs, records and monitors each session. Credentials and passwords are reset after each use for the highest level of security. 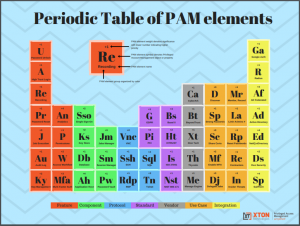 Using a PAM solution, you can easily secure, manage, monitor, and record privileged sessions to meet audit requirements while limiting your risk of security breaches and regulatory issues. Xton Technologies makes it easy and affordable to have high security for your privileged access. 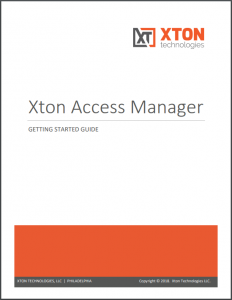 Xton Access Manager (XTAM) is purpose built to protect against malicious or accidental access from both within and beyond your firewall. The XTAM platform works across the corporate network, third party cloud infrastructure and is accessible using any modern browser on the desktop or mobile. 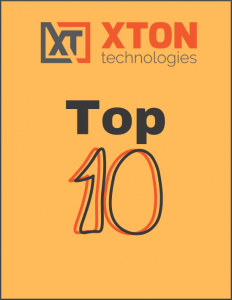 Xton Access Manager software is brought to you by industry veterans who have been developing enterprise software in the areas of cyber security and content management since 2004. The company’s goal is simple – to help make your company secure by providing privileged access management software that is simple to install, evaluate, buy, implement and maintain – all at an affordable price point.